Ideally we all want to have our next opportunity locked up before we give notice to our current company. But how do you go on interviews while you are still employed? While there will likely be some unavoidable awkwardness, these tips can help you maneuver. Make sure you have job search apps on your phone and set up accounts on Indeed and Glassdoor so that you can use the easy apply function. Some companies will take your profile and resume with a click versus the typical long application. You can also usually apply to jobs on company websites from your phone if you have your resume in an app like dropbox. This way you can apply to jobs on your lunch break! Bring your phone with you when you take a quick walk around the office or to make coffee or lunch so you can see if any recruiters reach out to you. This way you can respond quickly to schedule time to speak. Resist the urge to answer unfamiliar calls though, it can be awkward if a recruiter calls you while your co-workers are in earshot. Don't schedule phone screenings or interviews for times that would make it obvious that you are looking. Have a day off soon? Have the ability to schedule a work from home day? Use those to your advantage. You can also schedule during lunch, early in the morning, or by making up an appointment to get out of the office and to your interview. Hopefully these quick tips will help you in the complicated dance of interviewing while employed. Keep your motivation on why you are looking for a new position in the first place. This will help you get through the awkwardness of keeping this news from your colleagues. Who knows, maybe you can get them a position at your new company as well! 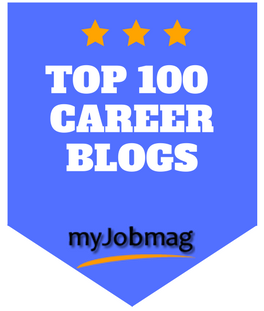 Want to receive other articles and career advice like this? Sign up for my newsletter and receive my free Career Jump-start Toolkit email series!